CRYPTO | Overview of courses TOP-10 cryptocurrency to USD - March 25, 2019steemCreated with Sketch. On the morning of March 25, Top 10 Cryptocurrencies by Market Capitalization demonstrates a predominantly uptrend, but the movement of most virtual coins is concentrated at the level of zero. The total market capitalization at the moment is $140 200 444 360, the capitalization indicator does not have any special changes, but rather drastic changes in its indicators were observed during the past day. Bitcoin (BTC) movement is concentrated at the set price threshold, which currently stands at $4 020,00, the asset did not fall below $4 000,00, the lower point of the coin was updated at the level of $4 006,19. In general, the movement of the coin is stable, but there are no special prerequisites for significant growth. Altcoins mainly in the red zone, the activity of most of them is very passive. In the first five Ethereum (ETH) trades at $137,00, the asset movement consistently adheres to the zero mark. 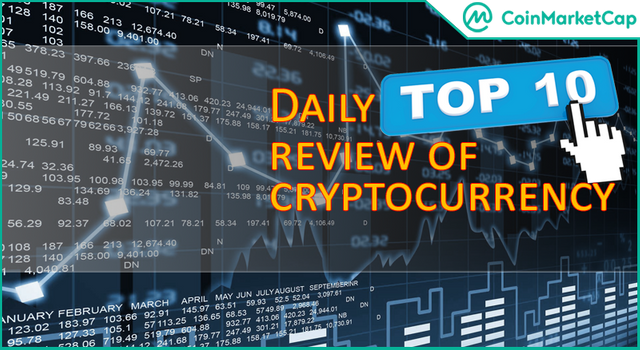 The Ripple (XRP) coin has updated its minimum at $0,3081 and thus decreased by -1,2% and at the moment there is a partial recovery. Litecoin (LTC) movement has long been concentrated below the $60,00 mark, the coin does not experience critical changes, but the asset movement is not stable either. The EOS (EOS) coin is trading at $3,69, for the last day it has grown by 1,1%, but the movement of the asset has dropped several times to the level of $3,63. In the second five, Bitcoin Cash (BCH) is trading below $166,80, the movement of an asset is experiencing growth difficulties and is prone to critical changes. The movement of the Binance Coin (BNB) asset is confidently above the level of $16,80, the asset has significantly increased from its minimum values, the coin growth at the moment is more than 13%. The Stellar (XLM) coin slid to the level of $0,1056, the asset shrank by almost -2% and most likely the decline will continue. This article cannot be considered as investment advice! Always remember that investments in cryptocurrencies are associated with increased risk and any investment should be approached very carefully. Just pay your attention that the responsibility for making a decision lies only with you. Please consider all these risks when evaluating cryptocurrency-related investments. Invest in cryptocurrency only the money that you can afford to lose.